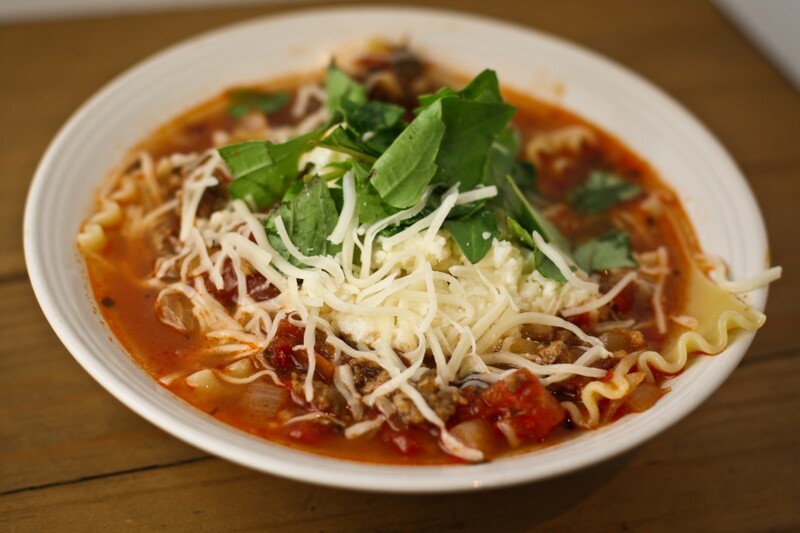 BUN BOY EATS LA – LASAGNA SOUP, PEOPLE! It’s all your favorite flavors, but in a soup! No, it’s not weird or gross! Why not just make lasagna, you might be asking. Cuz your oven is broke? I don’t know and I don’t appreciate your tone. It’s freaking delicious and you need to make it sometime. I even had it for breakfast this morning, spilling some on the keyboard. Greedily lapping it up like a cat. In case you haven’t noticed, I’m no food stylist. I just plopped the bowl on the table and shot away. All stark and naked. No wine goblet or bouquet of lillies in the background. Not even a placesetting! Note: I used broken up lasagna noodles instead of fusilli and cooked them separately so they wouldn’t soak up the liquid. 1 Comment on LASAGNA SOUP, PEOPLE! I’ve made that before…Not that recipe, but close. I loved it!